1 D None No Power Seat 1 D is an Upper Class Bulkhead seat. This seat does not have any overhead air vents and some passengers have reported that it can get hot and stuffy at this seat. 10 G None No Power Seat 10 G is an Upper Class seat. This seat does not have any overhead air vents and some passengers have reported that it can get hot and stuffy at this seat. 11 A None No Power Seat 11 A is a standard Upper Class seat. 11 G None No Power Seat 11 G is an Upper Class seat. This seat does not have any overhead air vents and some passengers have reported that it can get hot and stuffy at this seat. 11 K None No Power Seat 11 K is a standard Upper Class seat. 12 A None No Power Seat 12 A is a standard Upper Class seat. 12 G None No Power Seat 12 G is an Upper Class seat. This seat does not have any overhead air vents and some passengers have reported that it can get hot and stuffy at this seat. 12 K None No Power Seat 12 K is a standard Upper Class seat. 14 A None No Power Seat 14 A is a standard Upper Class seat. 14 G None No Power Seat 14 G is an Upper Class seat. This seat does not have any overhead air vents and some passengers have reported that it can get hot and stuffy at this seat. 14 K None No Power Seat 14 K is a standard Upper Class seat. 15 A None No Power Seat 15 A is a standard Upper Class seat. 15 G None No Power Seat 15 G is an Upper Class seat. This seat does not have any overhead air vents and some passengers have reported that it can get hot and stuffy at this seat. 15 K None No Power Seat 15 K is a standard Upper Class seat. 16 A None No Power Seat 16 A is an Upper Class seat whose close proximity to the lavatory and bar behind may be bothersome. 16 G None No Power Seat 16 G is an Upper Class seat. This seat does not have any overhead air vents and some passengers have reported that it can get hot and stuffy at this seat. The close proximity to the lavatories and bar behind may be bothersome. 16 K None No Power Seat 16 K is an Upper Class seat whose close proximity to the lavatory and bar behind may be bothersome. 17 A None No Power Seat 17 A is an Upper Class seat whose close proximity to the bar and lavatory behind may be bothersome. 17 K None No Power Seat 17 K is an Upper Class seat whose close proximity to the bar and lavatory behind may be bothersome. 18 A None No Power Seat 18 A is a Premium Economy Class Bulkhead seat that has extra legroom due to the position of the bulkhead. The close proximity of the galley may be bothersome. The tray table is in the armrest, making the armrest immovable and slightly reducing seat width. There is no floor storage for this seat during take-off and landing. 18 C None No Power Seat 18 C is a Premium Economy Class Bulkhead seat that has extra legroom due to the position of the bulkhead. The close proximity of the galley may be bothersome. The tray table is in the armrest, making the armrest immovable and slightly reducing seat width. There is no floor storage for this seat during take-off and landing. 18 D None No Power Seat 18 D is a Premium Economy Class seat that has restricted legroom due to the position of the Bulkhead. The tray table is in the armrest, making the armrest immovable and slightly reducing seat width. There is no floor storage for this seat during take-off and landing. 18 F None No Power Seat 18 F is a Premium Economy Class seat that has restricted legroom due to the position of the Bulkhead. The tray table is in the armrest, making the armrest immovable and slightly reducing seat width. There is no floor storage for this seat during take-off and landing. 18 G None No Power Seat 18 G is a Premium Economy Class seat that has restricted legroom due to the position of the Bulkhead. The tray table is in the armrest, making the armrest immovable and slightly reducing seat width. There is no floor storage for this seat during take-off and landing. 18 H None No Power Seat 18 H is a Premium Economy Class Bulkhead seat that has extra legroom due to the position of the bulkhead. The close proximity of the galley may be bothersome. The tray table is in the armrest, making the armrest immovable and slightly reducing seat width. There is no floor storage for this seat during take-off and landing. 18 K None No Power Seat 18 K is a Premium Economy Class Bulkhead seat that has extra legroom due to the position of the bulkhead. The close proximity of the galley may be bothersome. The tray table is in the armrest, making the armrest immovable and slightly reducing seat width. There is no floor storage for this seat during take-off and landing. 19 A None No Power Seat 19 A is a Premium Economy Class seat that is missing a window. Seats A,F,K may have restricted legroom and under seat storage due to the presence of an under seat equipment box. 19 C None No Power Seat 19 C is a Premium Economy Class seat. Seats A,C,F,K may have restricted legroom and under seat storage due to the presence of an under seat equipment box. 19 D None No Power Seat 19 D is a Premium Economy Class seat. Seats A,C,F,K may have restricted legroom and under seat storage due to the presence of an under seat equipment box. 19 F None No Power Seat 19 F is a Premium Economy Class seat. Seats A,C,F,K may have restricted legroom and under seat storage due to the presence of an under seat equipment box. 19 G None No Power Seat 19 G is a Premium Economy Class seat. Seats A,C,F,K may have restricted legroom and under seat storage due to the presence of an under seat equipment box. 19 H None No Power Seat 19 H is a Premium Economy Class seat. Seats A,C,F,K may have restricted legroom and under seat storage due to the presence of an under seat equipment box. 19 K None No Power Seat 19 K is a Premium Economy Class seat that is missing a window. Seats A,F,K may have restricted legroom and under seat storage due to the presence of an under seat equipment box. 2 A None No Power Seat 2 A is a standard Upper Class Bulkhead seat. 2 D None No Power Seat 2 D is an Upper Class seat. This seat does not have any overhead air vents and some passengers have reported that it can get hot and stuffy at this seat. 2 K None No Power Seat 2 K is an Upper Class Bulkhead seat whose close proximity to the lavatory may be bothersome. 20 A None No Power Seat 20 A is a Premium Economy Class seat. Seats A,C,F,K may have restricted legroom and under seat storage due to the presence of an under seat equipment box. 20 C None No Power Seat 20 C is a Premium Economy Class seat. Seats A,C,F,K may have restricted legroom and under seat storage due to the presence of an under seat equipment box. 20 D None No Power Seat 20 D is a Premium Economy Class seat. Seats A,C,F,K may have restricted legroom and under seat storage due to the presence of an under seat equipment box. 20 F None No Power Seat 20 F is a Premium Economy Class seat. Seats A,C,F,K may have restricted legroom and under seat storage due to the presence of an under seat equipment box. 20 G None No Power Seat 20 G is a Premium Economy Class seat. Seats A,C,F,K may have restricted legroom and under seat storage due to the presence of an under seat equipment box. 20 H None No Power Seat 20 H is a Premium Economy Class seat. Seats A,C,F,K may have restricted legroom and under seat storage due to the presence of an under seat equipment box. 20 K None No Power Seat 20 K is a Premium Economy Class seat. Seats A,C,F,K may have restricted legroom and under seat storage due to the presence of an under seat equipment box. 21 A None No Power Seat 21 A is a Premium Economy Class seat. Seats A,C,F,K may have restricted legroom and under seat storage due to the presence of an under seat equipment box. 21 C None No Power Seat 21 C is a Premium Economy Class seat. Seats A,C,F,K may have restricted legroom and under seat storage due to the presence of an under seat equipment box. 21 D None No Power Seat 21 D is a Premium Economy Class seat. Seats A,C,F,K may have restricted legroom and under seat storage due to the presence of an under seat equipment box. 21 F None No Power Seat 21 F is a Premium Economy Class seat. Seats A,C,F,K may have restricted legroom and under seat storage due to the presence of an under seat equipment box. 21 G None No Power Seat 21 G is a Premium Economy Class seat. Seats A,C,F,K may have restricted legroom and under seat storage due to the presence of an under seat equipment box. 21 H None No Power Seat 21 H is a Premium Economy Class seat. Passengers have reported that armrest between seats H & K in this row are immovable. Seats A,C,F,K may have restricted legroom and under seat storage due to the presence of an under seat equipment box. 21 K None No Power Seat 21 K is a Premium Economy Class seat. Passengers have reported that armrest between seats H & K in this row are immovable. Seats A,C,F,K may have restricted legroom and under seat storage due to the presence of an under seat equipment box. 22 A None No Power Seat 22 A is a Premium Economy Class seat that may have limited recline. The close proximity to the lavatories may be bothersome. Seats A,C,F,K may have restricted legroom and under seat storage due to the presence of an under seat equipment box. 22 C None No Power Seat 22 C is a Premium Economy Class seat that may have limited recline. The close proximity to the lavatories may be bothersome. Seats A,C,F,K may have restricted legroom and under seat storage due to the presence of an under seat equipment box. 22 D None No Power Seat 22 D is a Premium Economy Class seat whose close proximity to the lavatories may be be bothersome. Seats A,C,F,K may have restricted legroom and under seat storage due to the presence of an under seat equipment box. 22 F None No Power Seat 22 F is a Premium Economy Class seat whose close proximity to the lavatories may be be bothersome. Seats A,C,F,K may have restricted legroom and under seat storage due to the presence of an under seat equipment box. 22 G None No Power Seat 22 G is a Premium Economy Class seat whose close proximity to the lavatories may be be bothersome. Seats A,C,F,K may have restricted legroom and under seat storage due to the presence of an under seat equipment box. 22 H None No Power Seat 22 H is a Premium Economy Class seat that may have limited recline. The close proximity to the lavatories may be bothersome. Seats A,C,F,K may have restricted legroom and under seat storage due to the presence of an under seat equipment box. 22 K None No Power Seat 22 K is a Premium Economy Class seat that may have limited recline. The close proximity to the lavatories may be bothersome. Seats A,C,F,K may have restricted legroom and under seat storage due to the presence of an under seat equipment box. 23 D None No Power Seat 23 D is a Premium Economy Class seat in the last row of the cabin. This seat may have limited recline and the high traffic and close proximity to the lavatories may be bothersome. Seats A,C,F,K may have restricted legroom and under seat storage due to the presence of an under seat equipment box. 23 F None No Power Seat 23 F is a Premium Economy Class seat in the last row of the cabin. This seat may have limited recline and the high traffic and close proximity to the lavatories may be bothersome. Seats A,C,F,K may have restricted legroom and under seat storage due to the presence of an under seat equipment box. 23 G None No Power Seat 23 G is a Premium Economy Class seat in the last row of the cabin. This seat may have limited recline and the high traffic and close proximity to the lavatories may be bothersome. Seats A,C,F,K may have restricted legroom and under seat storage due to the presence of an under seat equipment box. 3 A None No Power Seat 3 A is a standard Upper Class seat. 3 D None No Power Seat 3 D is an Upper Class seat. This seat does not have any overhead air vents and some passengers have reported that it can get hot and stuffy at this seat. 3 K None No Power Seat 3 K is a standard Upper Class seat. 31 A None No Power Seat 31 A is an Economy Class Bulkhead seat with extra legroom, but the close proximity to the lavatory may be bothersome. The tray table is in the armrest, making the armrest immovable and slightly reducing seat width. There is no floor storage during take-off and landing. Passengers traveling with infants are often seated in this row. The flight attendants' phone is directly in front of these seats which could be bothersome during flight. 31 C None No Power Seat 31 C is an Economy Class Bulkhead seat with extra legroom, but the close proximity to the lavatory may be bothersome. The tray table is in the armrest, making the armrest immovable and slightly reducing seat width. There is no floor storage during take-off and landing. Passengers traveling with infants are often seated in this row. The flight attendants' phone is directly in front of these seats which could be bothersome during flight. 31 D None No Power Seat 31 D is an Economy Class Bulkhead seat whose close proximity to the lavatories may be bothersome. The tray table is in the armrest, making the armrest immovable and slightly reducing seat width. There is no floor storage during take-off and landing. Passengers traveling with infants are often seated in this row. 31 E None No Power Seat 31 E is an Economy Class Bulkhead seat whose close proximity to the lavatories may be bothersome. The tray table is in the armrest, making the armrest immovable and slightly reducing seat width. There is no floor storage during take-off and landing. Passengers traveling with infants are often seated in this row. 31 F None No Power Seat 31 F is an Economy Class Bulkhead seat whose close proximity to the lavatories may be bothersome. The tray table is in the armrest, making the armrest immovable and slightly reducing seat width. There is no floor storage during take-off and landing. Passengers traveling with infants are often seated in this row. 31 G None No Power Seat 31 G is an Economy Class Bulkhead seat whose close proximity to the lavatories may be bothersome. The tray table is in the armrest, making the armrest immovable and slightly reducing seat width. There is no floor storage during take-off and landing. Passengers traveling with infants are often seated in this row. 31 H None No Power Seat 31 H is an Economy Class Bulkhead seat that has extra legroom but the close proximity to the lavatory may be bothersome. The tray table is in the armrest, making the armrest immovable and slightly reducing seat width. There is no floor storage during take-off and landing. Passengers traveling with infants are often seated in this row. 31 K None No Power Seat 31 K is an Economy Class Bulkhead seat that has extra legroom but the close proximity to the lavatory may be bothersome. The tray table is in the armrest, making the armrest immovable and slightly reducing seat width. There is no floor storage during take-off and landing. Passengers traveling with infants are often seated in this row. 32 A None No Power Seat 32 A is an Economy Class seat that is missing a window. All A,G,K seats in Economy Class may have restricted legroom and storage due to the presence of an under seat entertainment equipment box. 32 C None No Power Seat 32 C is an Economy Class seat. All A,G,K seats in Economy Class may have restricted legroom and storage due to the presence of an under seat entertainment equipment box. 32 D None No Power Seat 32 D is an Economy Class seat. All A,G,K seats in Economy Class may have restricted legroom and storage due to the presence of an under seat entertainment equipment box. 32 E None No Power Seat 32 E is an Economy Class seat. All A,G,K seats in Economy Class may have restricted legroom and storage due to the presence of an under seat entertainment equipment box. 32 F None No Power Seat 32 F is an Economy Class seat. All A,G,K seats in Economy Class may have restricted legroom and storage due to the presence of an under seat entertainment equipment box. 32 G None No Power Seat 32 G is an Economy Class seat. All A,G,K seats in Economy Class may have restricted legroom and storage due to the presence of an under seat entertainment equipment box. 32 H None No Power Seat 32 H is an Economy Class seat. All A,G,K seats in Economy Class may have restricted legroom and storage due to the presence of an under seat entertainment equipment box. 32 K None No Power Seat 32 K is an Economy Class seat that is missing a window. All A,G,K seats in Economy Class may have restricted legroom and storage due to the presence of an under seat entertainment equipment box. 33 A None No Power Seat 33 A is an Economy Class seat. All A,G,K seats in Economy Class may have restricted legroom and storage due to the presence of an under seat entertainment equipment box. 33 C None No Power Seat 33 C is an Economy Class seat. All A,G,K seats in Economy Class may have restricted legroom and storage due to the presence of an under seat entertainment equipment box. 33 D None No Power Seat 33 D is an Economy Class seat with extra legroom due to the configuration of the aircraft. An extra fee is required to book this seat. However, all A,G,K seats in Economy Class may have restricted legroom and storage due to the presence of an under seat entertainment equipment box. 33 E None No Power Seat 33 E is an Economy Class seat with extra legroom due to the configuration of the aircraft. An extra fee is required to book this seat. However, all A,G,K seats in Economy Class may have restricted legroom and storage due to the presence of an under seat entertainment equipment box. 33 F None No Power Seat 33 F is an Economy Class seat with extra legroom due to the configuration of the aircraft. An extra fee is required to book this seat. However, all A,G,K seats in Economy Class may have restricted legroom and storage due to the presence of an under seat entertainment equipment box. 33 G None No Power Seat 33 G is an Economy Class seat with extra legroom due to the configuration of the aircraft. An extra fee is required to book this seat. However, all A,G,K seats in Economy Class may have restricted legroom and storage due to the presence of an under seat entertainment equipment box. 33 H None No Power Seat 33 H is an Economy Class seat with extra legroom due to the configuration of the aircraft. An extra fee is required to book this seat. However, all A,G,K seats in Economy Class may have restricted legroom and storage due to the presence of an under seat entertainment equipment box. 33 K None No Power Seat 33 K is an Economy Class seat with extra legroom due to the configuration of the aircraft. An extra fee is required to book this seat. However, all A,G,K seats in Economy Class may have restricted legroom and storage due to the presence of an under seat entertainment equipment box. 34 A None No Power Seat 34 A is an Economy Class seat. All A,G,K seats in Economy Class may have restricted legroom and storage due to the presence of an under seat entertainment equipment box. 34 C None No Power Seat 34 C is an Economy Class seat. All A,G,K seats in Economy Class may have restricted legroom and storage due to the presence of an under seat entertainment equipment box. 34 D None No Power Seat 34 D is an Economy Class seat with extra legroom due to the configuration of the aircraft. An extra fee is required to book this seat. However, all A,G,K seats in Economy Class may have restricted legroom and storage due to the presence of an under seat entertainment equipment box. 34 E None No Power Seat 34 E is an Economy Class seat with extra legroom due to the configuration of the aircraft. An extra fee is required to book this seat. However, all A,G,K seats in Economy Class may have restricted legroom and storage due to the presence of an under seat entertainment equipment box. 34 F None No Power Seat 34 F is an Economy Class seat with extra legroom due to the configuration of the aircraft. An extra fee is required to book this seat. However, all A,G,K seats in Economy Class may have restricted legroom and storage due to the presence of an under seat entertainment equipment box. 34 G None No Power Seat 34 G is an Economy Class seat with extra legroom due to the configuration of the aircraft. An extra fee is required to book this seat. However, all A,G,K seats in Economy Class may have restricted legroom and storage due to the presence of an under seat entertainment equipment box. 34 H None No Power Seat 34 H is an Economy Class seat with extra legroom due to the configuration of the aircraft. An extra fee is required to book this seat. However, all A,G,K seats in Economy Class may have restricted legroom and storage due to the presence of an under seat entertainment equipment box. 34 K None No Power Seat 34 K is an Economy Class seat with extra legroom due to the configuration of the aircraft. An extra fee is required to book this seat. However, all A,G,K seats in Economy Class may have restricted legroom and storage due to the presence of an under seat entertainment equipment box. 35 A None No Power Seat 35 A is an Economy Class seat. All A,G,K seats in Economy Class may have restricted legroom and storage due to the presence of an under seat entertainment equipment box. 35 C None No Power Seat 35 C is an Economy Class seat. All A,G,K seats in Economy Class may have restricted legroom and storage due to the presence of an under seat entertainment equipment box. 35 D None No Power Seat 35 D is an Economy Class seat. All A,G,K seats in Economy Class may have restricted legroom and storage due to the presence of an under seat entertainment equipment box. 35 E None No Power Seat 35 E is an Economy Class seat. All A,G,K seats in Economy Class may have restricted legroom and storage due to the presence of an under seat entertainment equipment box. 35 F None No Power Seat 35 F is an Economy Class seat. All A,G,K seats in Economy Class may have restricted legroom and storage due to the presence of an under seat entertainment equipment box. 35 G None No Power Seat 35 G is an Economy Class seat. All A,G,K seats in Economy Class may have restricted legroom and storage due to the presence of an under seat entertainment equipment box. 35 H None No Power Seat 35 H is an Economy Class seat with extra legroom due to the configuration of the aircraft. An extra fee is required to book this seat. However, all A,G,K seats in Economy Class may have restricted legroom and storage due to the presence of an under seat entertainment equipment box. 35 K None No Power Seat 35 K is an Economy Class seat with extra legroom due to the configuration of the aircraft. An extra fee is required to book this seat. However, all A,G,K seats in Economy Class may have restricted legroom and storage due to the presence of an under seat entertainment equipment box. 36 A None No Power Seat 36 A is an Economy Class seat. All A,G,K seats in Economy Class may have restricted legroom and storage due to the presence of an under seat entertainment equipment box. 36 C None No Power Seat 36 C is an Economy Class seat. All A,G,K seats in Economy Class may have restricted legroom and storage due to the presence of an under seat entertainment equipment box. 36 D None No Power Seat 36 D is an Economy Class seat. All A,G,K seats in Economy Class may have restricted legroom and storage due to the presence of an under seat entertainment equipment box. 36 E None No Power Seat 36 E is an Economy Class seat. All A,G,K seats in Economy Class may have restricted legroom and storage due to the presence of an under seat entertainment equipment box. 36 F None No Power Seat 36 F is an Economy Class seat. All A,G,K seats in Economy Class may have restricted legroom and storage due to the presence of an under seat entertainment equipment box. 36 G None No Power Seat 36 G is an Economy Class seat. All A,G,K seats in Economy Class may have restricted legroom and storage due to the presence of an under seat entertainment equipment box. 36 H None No Power Seat 36 H is an Economy Class seat with extra legroom due to the configuration of the aircraft. An extra fee is required to book this seat. However, all A,G,K seats in Economy Class may have restricted legroom and storage due to the presence of an under seat entertainment equipment box. 36 K None No Power Seat 36 K is an Economy Class seat with extra legroom due to the configuration of the aircraft. An extra fee is required to book this seat. However, all A,G,K seats in Economy Class may have restricted legroom and storage due to the presence of an under seat entertainment equipment box. 37 A None No Power Seat 37 A is an Economy Class seat. All A,G,K seats in Economy Class may have restricted legroom and storage due to the presence of an under seat entertainment equipment box. 37 C None No Power Seat 37 C is an Economy Class seat. All A,G,K seats in Economy Class may have restricted legroom and storage due to the presence of an under seat entertainment equipment box. 37 D None No Power Seat 37 D is an Economy Class seat. All A,G,K seats in Economy Class may have restricted legroom and storage due to the presence of an under seat entertainment equipment box. 37 E None No Power Seat 37 E is an Economy Class seat. All A,G,K seats in Economy Class may have restricted legroom and storage due to the presence of an under seat entertainment equipment box. 37 F None No Power Seat 37 F is an Economy Class seat. All A,G,K seats in Economy Class may have restricted legroom and storage due to the presence of an under seat entertainment equipment box. 37 G None No Power Seat 37 G is an Economy Class seat. All A,G,K seats in Economy Class may have restricted legroom and storage due to the presence of an under seat entertainment equipment box. 37 H None No Power Seat 37 H is an Economy Class seat. All A,G,K seats in Economy Class may have restricted legroom and storage due to the presence of an under seat entertainment equipment box. 37 K None No Power Seat 37 K is an Economy Class seat. All A,G,K seats in Economy Class may have restricted legroom and storage due to the presence of an under seat entertainment equipment box. 38 A None No Power Seat 38 A is an Economy Class seat. All A,G,K seats in Economy Class may have restricted legroom and storage due to the presence of an under seat entertainment equipment box. 38 C None No Power Seat 38 C is an Economy Class seat. All A,G,K seats in Economy Class may have restricted legroom and storage due to the presence of an under seat entertainment equipment box. 38 D None No Power Seat 38 D is an Economy Class seat. All A,G,K seats in Economy Class may have restricted legroom and storage due to the presence of an under seat entertainment equipment box. 38 E None No Power Seat 38 E is an Economy Class seat. All A,G,K seats in Economy Class may have restricted legroom and storage due to the presence of an under seat entertainment equipment box. 38 F None No Power Seat 38 F is an Economy Class seat. All A,G,K seats in Economy Class may have restricted legroom and storage due to the presence of an under seat entertainment equipment box. 38 G None No Power Seat 38 G is an Economy Class seat. All A,G,K seats in Economy Class may have restricted legroom and storage due to the presence of an under seat entertainment equipment box. 38 H None No Power Seat 38 H is an Economy Class seat. All A,G,K seats in Economy Class may have restricted legroom and storage due to the presence of an under seat entertainment equipment box. 38 K None No Power Seat 38 K is an Economy Class seat. All A,G,K seats in Economy Class may have restricted legroom and storage due to the presence of an under seat entertainment equipment box. 39 A None No Power Seat 39 A is an Economy Class seat. All A,G,K seats in Economy Class may have restricted legroom and storage due to the presence of an under seat entertainment equipment box. 39 C None No Power Seat 39 C is an Economy Class seat. All A,G,K seats in Economy Class may have restricted legroom and storage due to the presence of an under seat entertainment equipment box. 39 D None No Power Seat 39 D is an Economy Class seat. All A,G,K seats in Economy Class may have restricted legroom and storage due to the presence of an under seat entertainment equipment box. 39 E None No Power Seat 39 E is an Economy Class seat. All A,G,K seats in Economy Class may have restricted legroom and storage due to the presence of an under seat entertainment equipment box. 39 F None No Power Seat 39 F is an Economy Class seat. All A,G,K seats in Economy Class may have restricted legroom and storage due to the presence of an under seat entertainment equipment box. 39 G None No Power Seat 39 G is an Economy Class seat. All A,G,K seats in Economy Class may have restricted legroom and storage due to the presence of an under seat entertainment equipment box. 39 H None No Power Seat 39 H is an Economy Class seat. All A,G,K seats in Economy Class may have restricted legroom and storage due to the presence of an under seat entertainment equipment box. 39 K None No Power Seat 39 K is an Economy Class seat. All A,G,K seats in Economy Class may have restricted legroom and storage due to the presence of an under seat entertainment equipment box. 4 A None No Power Seat 4 A is a standard Upper Class seat. 4 D None No Power Seat 4 D is an Upper Class seat. This seat does not have any overhead air vents and some passengers have reported that it can get hot and stuffy at this seat. 4 K None No Power Seat 4 K is a standard Upper Class seat. 40 A None No Power Seat 40 A is an Economy Class seat. All A,G,K seats in Economy Class may have restricted legroom and storage due to the presence of an under seat entertainment equipment box. 40 C None No Power Seat 40 C is an Economy Class seat. All A,G,K seats in Economy Class may have restricted legroom and storage due to the presence of an under seat entertainment equipment box. 40 D None No Power Seat 40 D is an Economy Class seat. All A,G,K seats in Economy Class may have restricted legroom and storage due to the presence of an under seat entertainment equipment box. 40 E None No Power Seat 40 E is an Economy Class seat. All A,G,K seats in Economy Class may have restricted legroom and storage due to the presence of an under seat entertainment equipment box. 40 F None No Power Seat 40 F is an Economy Class seat. All A,G,K seats in Economy Class may have restricted legroom and storage due to the presence of an under seat entertainment equipment box. 40 G None No Power Seat 40 G is an Economy Class seat. All A,G,K seats in Economy Class may have restricted legroom and storage due to the presence of an under seat entertainment equipment box. 40 H None No Power Seat 40 H is an Economy Class seat. All A,G,K seats in Economy Class may have restricted legroom and storage due to the presence of an under seat entertainment equipment box. 40 K None No Power Seat 40 K is an Economy Class seat. All A,G,K seats in Economy Class may have restricted legroom and storage due to the presence of an under seat entertainment equipment box. 41 A None No Power Seat 41 A is an Economy Class seat. All A,G,K seats in Economy Class may have restricted legroom and storage due to the presence of an under seat entertainment equipment box. 41 C None No Power Seat 41 C is an Economy Class seat. The close proximity to the stairs on overnight flights may be bothersome as flight attendants open and close the door to the stairwell. All A,G,K seats in Economy Class may have restricted legroom and storage due to the presence of an under seat entertainment equipment box. 41 D None No Power Seat 41 D is an Economy Class seat. All A,G,K seats in Economy Class may have restricted legroom and storage due to the presence of an under seat entertainment equipment box. 41 E None No Power Seat 41 E is an Economy Class seat. All A,G,K seats in Economy Class may have restricted legroom and storage due to the presence of an under seat entertainment equipment box. 41 F None No Power Seat 41 F is an Economy Class seat. All A,G,K seats in Economy Class may have restricted legroom and storage due to the presence of an under seat entertainment equipment box. 41 G None No Power Seat 41 G is an Economy Class seat. All A,G,K seats in Economy Class may have restricted legroom and storage due to the presence of an under seat entertainment equipment box. 41 H None No Power Seat 41 H is an Economy Class seat. The close proximity to the stairs on overnight flights may be bothersome as flight attendants open and close the door to the stairwell. All A,G,K seats in Economy Class may have restricted legroom and storage due to the presence of an under seat entertainment equipment box. 41 K None No Power Seat 41 K is an Economy Class seat. All A,G,K seats in Economy Class may have restricted legroom and storage due to the presence of an under seat entertainment equipment box. 42 A None No Power Seat 42 A is an Economy Class seat. All A,G,K seats in Economy Class may have restricted legroom and storage due to the presence of an under seat entertainment equipment box. 42 C None No Power Seat 42 C is an Economy Class seat. The close proximity to the stairs on overnight flights may be bothersome as flight attendants open and close the door to the stairwell. All A,G,K seats in Economy Class may have restricted legroom and storage due to the presence of an under seat entertainment equipment box. 42 H None No Power Seat 42 H is an Economy Class seat. The close proximity to the stairs on overnight flights may be bothersome as flight attendants open and close the door to the stairwell. All A,G,K seats in Economy Class may have restricted legroom and storage due to the presence of an under seat entertainment equipment box. 42 K None No Power Seat 42 K is an Economy Class seat. All A,G,K seats in Economy Class may have restricted legroom and storage due to the presence of an under seat entertainment equipment box. 43 A None No Power Seat 43 A is an Economy Class seat that may have reduced seat pitch and the close proximity to the lavatories may be bothersome. The window seats have limited storage and legroom due to the presence of an under seat entertainment storage box. 43 C None No Power Seat 43 C is an Economy Class seat that may have reduced seat pitch and the close proximity to the lavatories may be bothersome. The window seats have limited storage and legroom due to the presence of an under seat entertainment storage box. 43 D None No Power Seat 43 D is an Economy Class seat that may have restricted legroom due to the presence of a staircase to the crew rest area. The tray table is in the armrest, making the armrest immovable and slightly reducing seat width. There is no floor storage during take-off and landing. 43 E None No Power Seat 43 E is an Economy Class seat that may have restricted legroom due to the presence of a staircase to the crew rest area. The tray table is in the armrest, making the armrest immovable and slightly reducing seat width. There is no floor storage during take-off and landing. 43 F None No Power Seat 43 F is an Economy Class seat that may have restricted legroom due to the presence of a staircase to the crew rest area. The tray table is in the armrest, making the armrest immovable and slightly reducing seat width. There is no floor storage during take-off and landing. 43 G None No Power Seat 43 G is an Economy Class seat that may have restricted legroom due to the presence of a staircase to the crew rest area. The tray table is in the armrest, making the armrest immovable and slightly reducing seat width. There is no floor storage during take-off and landing. 43 H None No Power Seat 43 H is an Economy Class seat. All A,G,K seats in Economy Class may have restricted legroom and storage due to the presence of an under seat entertainment equipment box. 43 K None No Power Seat 43 K is an Economy Class seat. All A,G,K seats in Economy Class may have restricted legroom and storage due to the presence of an under seat entertainment equipment box. 44 D None No Power Seat 44 D is an Economy Class seat whose close proximity to the lavatories may be bothersome. All A,G,K seats in Economy Class may have restricted legroom and storage due to the presence of an under seat entertainment equipment box. 44 G None No Power Seat 44 G is an Economy Class seat whose close proximity to the lavatories may be bothersome. All A,G,K seats in Economy Class may have restricted legroom and storage due to the presence of an under seat entertainment equipment box. 44 H None No Power Seat 44 H is an Economy Class seat that may have reduced seat pitch and the close proximity to the lavatories may be bothersome. The window seats have limited storage and legroom due to the presence of an under seat entertainment storage box. 44 K None No Power Seat 44 K is an Economy Class seat that may have reduced seat pitch and the close proximity to the lavatories may be bothersome. The window seats have limited storage and legroom due to the presence of an under seat entertainment storage box. 45 D None No Power Seat 45 D is an Economy Class seat whose close proximity to the lavatories may be bothersome. All A,G,K seats in Economy Class may have restricted legroom and storage due to the presence of an under seat entertainment equipment box. 45 G None No Power Seat 45 G is an Economy Class seat whose close proximity to the lavatories may be bothersome. All A,G,K seats in Economy Class may have restricted legroom and storage due to the presence of an under seat entertainment equipment box. 46 D None No Power Seat 46 D is an Economy Class seat that may have limited recline and the proximity of the lavatories may be bothersome. Water fountains, as well as newspapers and magazines are located behind these seats so passengers often congregate in this area. All A,G,K seats in Economy Class may have restricted legroom and storage due to the presence of an under seat entertainment equipment box. 46 E None No Power Seat 46 E is an Economy Class seat that may have limited recline and the proximity of the lavatories may be bothersome. Water fountains, as well as newspapers and magazines are located behind these seats so passengers often congregate in this area. All A,G,K seats in Economy Class may have restricted legroom and storage due to the presence of an under seat entertainment equipment box. 46 F None No Power Seat 46 F is an Economy Class seat that may have limited recline and the proximity of the lavatories may be bothersome. Water fountains, as well as newspapers and magazines are located behind these seats so passengers often congregate in this area. All A,G,K seats in Economy Class may have restricted legroom and storage due to the presence of an under seat entertainment equipment box. 46 G None No Power Seat 46 G is an Economy Class seat that may have limited recline and the proximity of the lavatories may be bothersome. Water fountains, as well as newspapers and magazines are located behind these seats so passengers often congregate in this area. All A,G,K seats in Economy Class may have restricted legroom and storage due to the presence of an under seat entertainment equipment box. 5 A None No Power Seat 5 A is a standard Upper Class seat. 5 D None No Power Seat 5 D is an Upper Class seat. This seat does not have any overhead air vents and some passengers have reported that it can get hot and stuffy at this seat. 5 K None No Power Seat 5 K is a standard Upper Class seat. 51 A None No Power Seat 51 A is an Economy Class seat whose legroom may be restricted due to the protrusion of the emergency slide. The close proximity to the lavatories may be bothersome. The tray table is in the armrest making the armrest immovable and slightly reducing seat width. Passengers traveling with infants are often seated in this row. 51 C None No Power Seat 51 C is an Economy Class seat that has extra legroom due to the exit row in front, however the close proximity to the lavatories may be bothersome. The tray table is in the armrest making the armrest immovable and slightly reducing seat width. Passengers traveling with infants are often seated in this row. 51 D None No Power Seat 51 D is an Economy Class seat that has extra legroom due to the position of the bulkhead, however the close proximity to the lavatories may be bothersome. The tray table is in the armrest making the armrest immovable and slightly reducing seat width. There is no floor storage for this seat during take-off and landing. Passengers traveling with infants are often seated in this row. 51 E None No Power Seat 51 E is an Economy Class seat that has extra legroom due to the position of the bulkhead, however the close proximity to the lavatories may be bothersome. The tray table is in the armrest making the armrest immovable and slightly reducing seat width. There is no floor storage for this seat during take-off and landing. Passengers traveling with infants are often seated in this row. 51 F None No Power Seat 51 F is an Economy Class seat that has extra legroom due to the position of the bulkhead, however the close proximity to the lavatories may be bothersome. The tray table is in the armrest making the armrest immovable and slightly reducing seat width. There is no floor storage for this seat during take-off and landing. Passengers traveling with infants are often seated in this row. 51 G None No Power Seat 51 G is an Economy Class seat that has extra legroom due to the position of the bulkhead, however the close proximity to the lavatories may be bothersome. The tray table is in the armrest making the armrest immovable and slightly reducing seat width. There is no floor storage for this seat during take-off and landing. Passengers traveling with infants are often seated in this row. 51 H None No Power Seat 51 H is an Economy Class seat that has extra legroom due to the exit row in front, however the close proximity to the lavatories may be bothersome. The tray table is in the armrest making the armrest immovable and slightly reducing seat width. Passengers traveling with infants are often seated in this row. 51 K None No Power Seat 51 K is an Economy Class seat whose legroom may be restricted due to the protrusion of the emergency slide. The close proximity to the lavatories may be bothersome. The tray table is in the armrest making the armrest immovable and slightly reducing seat width. Passengers traveling with infants are often seated in this row. 52 A None No Power Seat 52 A is an Economy Class seat that is missing a window. All Economy Class seats A,G,K may have restricted legroom and storage due to the presence of an under seat entertainment equipment box. 52 C None No Power Seat 52 C is an Economy Class seat. All Economy Class seats A,G,K may have restricted legroom and storage due to the presence of an under seat entertainment equipment box. 52 D None No Power Seat 52 D is an Economy Class seat. All Economy Class seats A,G,K may have restricted legroom and storage due to the presence of an under seat entertainment equipment box. 52 E None No Power Seat 52 E is an Economy Class seat. All Economy Class seats A,G,K may have restricted legroom and storage due to the presence of an under seat entertainment equipment box. 52 F None No Power Seat 52 F is an Economy Class seat. All Economy Class seats A,G,K may have restricted legroom and storage due to the presence of an under seat entertainment equipment box. 52 G None No Power Seat 52 G is an Economy Class seat. All Economy Class seats A,G,K may have restricted legroom and storage due to the presence of an under seat entertainment equipment box. 52 H None No Power Seat 52 H is an Economy Class seat. All Economy Class seats A,G,K may have restricted legroom and storage due to the presence of an under seat entertainment equipment box. 52 K None No Power Seat 52 K is an Economy Class seat that is missing a window. All Economy Class seats A,G,K may have restricted legroom and storage due to the presence of an under seat entertainment equipment box. 53 A None No Power Seat 53 A is an Economy Class seat with extra legroom due to the configuration of the aircraft. An extra fee is required to book this seat. However, all A,G,K seats in Economy Class may have restricted legroom and storage due to the presence of an under seat entertainment equipment box. 53 C None No Power Seat 53 C is an Economy Class seat with extra legroom due to the configuration of the aircraft. An extra fee is required to book this seat. However, all A,G,K seats in Economy Class may have restricted legroom and storage due to the presence of an under seat entertainment equipment box. 53 D None No Power Seat 53 D is an Economy Class seat. All Economy Class seats A,G,K may have restricted legroom and storage due to the presence of an under seat entertainment equipment box. 53 E None No Power Seat 53 E is an Economy Class seat. All Economy Class seats A,G,K may have restricted legroom and storage due to the presence of an under seat entertainment equipment box. 53 F None No Power Seat 53 F is an Economy Class seat. All Economy Class seats A,G,K may have restricted legroom and storage due to the presence of an under seat entertainment equipment box. 53 G None No Power Seat 53 G is an Economy Class seat. All Economy Class seats A,G,K may have restricted legroom and storage due to the presence of an under seat entertainment equipment box. 53 H None No Power Seat 53 H is an Economy Class seat with extra legroom due to the configuration of the aircraft. An extra fee is required to book this seat. However, all A,G,K seats in Economy Class may have restricted legroom and storage due to the presence of an under seat entertainment equipment box. 53 K None No Power Seat 53 K is an Economy Class seat with extra legroom due to the configuration of the aircraft. An extra fee is required to book this seat. However, all A,G,K seats in Economy Class may have restricted legroom and storage due to the presence of an under seat entertainment equipment box. 54 A None No Power Seat 54 A is an Economy Class seat with extra legroom due to the configuration of the aircraft. An extra fee is required to book this seat. However, all A,G,K seats in Economy Class may have restricted legroom and storage due to the presence of an under seat entertainment equipment box. 54 C None No Power Seat 54 C is an Economy Class seat with extra legroom due to the configuration of the aircraft. An extra fee is required to book this seat. However, all A,G,K seats in Economy Class may have restricted legroom and storage due to the presence of an under seat entertainment equipment box. 54 D None No Power Seat 54 D is an Economy Class seat. All Economy Class seats A,G,K may have restricted legroom and storage due to the presence of an under seat entertainment equipment box. 54 E None No Power Seat 54 E is an Economy Class seat. All Economy Class seats A,G,K may have restricted legroom and storage due to the presence of an under seat entertainment equipment box. 54 F None No Power Seat 54 F is an Economy Class seat. All Economy Class seats A,G,K may have restricted legroom and storage due to the presence of an under seat entertainment equipment box. 54 G None No Power Seat 54 G is an Economy Class seat. All Economy Class seats A,G,K may have restricted legroom and storage due to the presence of an under seat entertainment equipment box. 54 H None No Power Seat 54 H is an Economy Class seat with extra legroom due to the configuration of the aircraft. An extra fee is required to book this seat. However, all A,G,K seats in Economy Class may have restricted legroom and storage due to the presence of an under seat entertainment equipment box. 54 K None No Power Seat 54 K is an Economy Class seat with extra legroom due to the configuration of the aircraft. An extra fee is required to book this seat. However, all A,G,K seats in Economy Class may have restricted legroom and storage due to the presence of an under seat entertainment equipment box. 55 A None No Power Seat 55 A is an Economy Class seat. All Economy Class seats A,G,K may have restricted legroom and storage due to the presence of an under seat entertainment equipment box. 55 C None No Power Seat 55 C is an Economy Class seat. All Economy Class seats A,G,K may have restricted legroom and storage due to the presence of an under seat entertainment equipment box. 55 D None No Power Seat 55 D is an Economy Class seat. All Economy Class seats A,G,K may have restricted legroom and storage due to the presence of an under seat entertainment equipment box. 55 E None No Power Seat 55 E is an Economy Class seat. All Economy Class seats A,G,K may have restricted legroom and storage due to the presence of an under seat entertainment equipment box. 55 F None No Power Seat 55 F is an Economy Class seat. All Economy Class seats A,G,K may have restricted legroom and storage due to the presence of an under seat entertainment equipment box. 55 G None No Power Seat 55 G is an Economy Class seat. All Economy Class seats A,G,K may have restricted legroom and storage due to the presence of an under seat entertainment equipment box. 55 H None No Power Seat 55 H is an Economy Class seat. All Economy Class seats A,G,K may have restricted legroom and storage due to the presence of an under seat entertainment equipment box. 55 K None No Power Seat 55 K is an Economy Class seat. All Economy Class seats A,G,K may have restricted legroom and storage due to the presence of an under seat entertainment equipment box. 56 A None No Power Seat 56 A is an Economy Class seat. All Economy Class seats A,G,K may have restricted legroom and storage due to the presence of an under seat entertainment equipment box. 56 C None No Power Seat 56 C is an Economy Class seat. All Economy Class seats A,G,K may have restricted legroom and storage due to the presence of an under seat entertainment equipment box. 56 D None No Power Seat 56 D is an Economy Class seat. All Economy Class seats A,G,K may have restricted legroom and storage due to the presence of an under seat entertainment equipment box. 56 E None No Power Seat 56 E is an Economy Class seat. All Economy Class seats A,G,K may have restricted legroom and storage due to the presence of an under seat entertainment equipment box. 56 F None No Power Seat 56 F is an Economy Class seat. All Economy Class seats A,G,K may have restricted legroom and storage due to the presence of an under seat entertainment equipment box. 56 G None No Power Seat 56 G is an Economy Class seat. All Economy Class seats A,G,K may have restricted legroom and storage due to the presence of an under seat entertainment equipment box. 56 H None No Power Seat 56 H is an Economy Class seat. All Economy Class seats A,G,K may have restricted legroom and storage due to the presence of an under seat entertainment equipment box. 56 K None No Power Seat 56 K is an Economy Class seat. All Economy Class seats A,G,K may have restricted legroom and storage due to the presence of an under seat entertainment equipment box. 57 A None No Power Seat 57 A is an Economy Class seat. All Economy Class seats A,G,K may have restricted legroom and storage due to the presence of an under seat entertainment equipment box. 57 C None No Power Seat 57 C is an Economy Class seat. All Economy Class seats A,G,K may have restricted legroom and storage due to the presence of an under seat entertainment equipment box. 57 D None No Power Seat 57 D is an Economy Class seat. All Economy Class seats A,G,K may have restricted legroom and storage due to the presence of an under seat entertainment equipment box. 57 E None No Power Seat 57 E is an Economy Class seat. All Economy Class seats A,G,K may have restricted legroom and storage due to the presence of an under seat entertainment equipment box. 57 F None No Power Seat 57 F is an Economy Class seat. All Economy Class seats A,G,K may have restricted legroom and storage due to the presence of an under seat entertainment equipment box. 57 G None No Power Seat 57 G is an Economy Class seat. All Economy Class seats A,G,K may have restricted legroom and storage due to the presence of an under seat entertainment equipment box. 57 H None No Power Seat 57 H is an Economy Class seat. All Economy Class seats A,G,K may have restricted legroom and storage due to the presence of an under seat entertainment equipment box. 57 K None No Power Seat 57 K is an Economy Class seat. All Economy Class seats A,G,K may have restricted legroom and storage due to the presence of an under seat entertainment equipment box. 58 A None No Power Seat 58 A is an Economy Class seat. All Economy Class seats A,G,K may have restricted legroom and storage due to the presence of an under seat entertainment equipment box. 58 C None No Power Seat 58 C is an Economy Class seat. All Economy Class seats A,G,K may have restricted legroom and storage due to the presence of an under seat entertainment equipment box. 58 D None No Power Seat 58 D is an Economy Class seat. All Economy Class seats A,G,K may have restricted legroom and storage due to the presence of an under seat entertainment equipment box. 58 E None No Power Seat 58 E is an Economy Class seat. All Economy Class seats A,G,K may have restricted legroom and storage due to the presence of an under seat entertainment equipment box. 58 F None No Power Seat 58 F is an Economy Class seat. All Economy Class seats A,G,K may have restricted legroom and storage due to the presence of an under seat entertainment equipment box. 58 G None No Power Seat 58 G is an Economy Class seat. All Economy Class seats A,G,K may have restricted legroom and storage due to the presence of an under seat entertainment equipment box. 58 H None No Power Seat 58 H is an Economy Class seat. All Economy Class seats A,G,K may have restricted legroom and storage due to the presence of an under seat entertainment equipment box. 58 K None No Power Seat 58 K is an Economy Class seat. All Economy Class seats A,G,K may have restricted legroom and storage due to the presence of an under seat entertainment equipment box. 59 A None No Power Seat 59 A is an Economy Class seat. All Economy Class seats A,G,K may have restricted legroom and storage due to the presence of an under seat entertainment equipment box. 59 C None No Power Seat 59 C is an Economy Class seat. All Economy Class seats A,G,K may have restricted legroom and storage due to the presence of an under seat entertainment equipment box. 59 D None No Power Seat 59 D is an Economy Class seat. All Economy Class seats A,G,K may have restricted legroom and storage due to the presence of an under seat entertainment equipment box. 59 E None No Power Seat 59 E is an Economy Class seat. All Economy Class seats A,G,K may have restricted legroom and storage due to the presence of an under seat entertainment equipment box. 59 F None No Power Seat 59 F is an Economy Class seat. All Economy Class seats A,G,K may have restricted legroom and storage due to the presence of an under seat entertainment equipment box. 59 G None No Power Seat 59 G is an Economy Class seat. All Economy Class seats A,G,K may have restricted legroom and storage due to the presence of an under seat entertainment equipment box. 59 H None No Power Seat 59 H is an Economy Class seat. All Economy Class seats A,G,K may have restricted legroom and storage due to the presence of an under seat entertainment equipment box. 59 K None No Power Seat 59 K is an Economy Class seat. All Economy Class seats A,G,K may have restricted legroom and storage due to the presence of an under seat entertainment equipment box. 6 A None No Power Seat 6 A is a standard Upper Class seat. 6 D None No Power Seat 6 D is an Upper Class seat. This seat does not have any overhead air vents and some passengers have reported that it can get hot and stuffy at this seat. 6 K None No Power Seat 6 K is a standard Upper Class seat. 60 A None No Power Seat 60 A is an Economy Class seat. All Economy Class seats A,G,K may have restricted legroom and storage due to the presence of an under seat entertainment equipment box. 60 C None No Power Seat 60 C is an Economy Class seat. All Economy Class seats A,G,K may have restricted legroom and storage due to the presence of an under seat entertainment equipment box. 60 D None No Power Seat 60 D is an Economy Class seat that may be bumped by service carts or others passing by as it juts out into the aisle. All Economy Class seats A,G,K may have restricted legroom and storage due to the presence of an under seat entertainment equipment box. 60 E None No Power Seat 60 E is an Economy Class seat. All Economy Class seats A,G,K may have restricted legroom and storage due to the presence of an under seat entertainment equipment box. 60 F None No Power Seat 60 F is an Economy Class seat. All Economy Class seats A,G,K may have restricted legroom and storage due to the presence of an under seat entertainment equipment box. 60 G None No Power Seat 60 G is an Economy Class seat that may be bumped by service carts or others passing by as it juts out into the aisle. All Economy Class seats A,G,K may have restricted legroom and storage due to the presence of an under seat entertainment equipment box. 60 H None No Power Seat 60 H is an Economy Class seat. All Economy Class seats A,G,K may have restricted legroom and storage due to the presence of an under seat entertainment equipment box. 60 K None No Power Seat 60 K is an Economy Class seat. All Economy Class seats A,G,K may have restricted legroom and storage due to the presence of an under seat entertainment equipment box. 61 A None No Power Seat 61 A is an Economy Class seat that may have extra legroom. The tray table is in the armrest, making the armrest immovable and slightly reducing seat width. All A,D,K seats from Row 61 back, may have restricted legroom and storage due to the presence of an under seat entertainment equipment box. 61 C None No Power Seat 61 C is an Economy Class seat that may have extra legroom. However this seat juts into the aisle and may often be bumped by service carts or others passing by. The tray table is in the armrest, making the armrests immovable and slightly reducing seat width. 61 D None No Power Seat 61 D is an Economy Class seat. The tray table is in the armrest, making the armrest immovable and slightly reducing seat width. The personal TVs are misaligned as they are on the seat backs of the row in front. 61 F None No Power Seat 61 F is an Economy Class seat. The tray table is in the armrest, making the armrest immovable and slightly reducing seat width. The personal TVs are misaligned as they are on the seat backs of the row in front. 61 G None No Power Seat 61 G is an Economy Class seat. The tray table is in the armrest, making the armrest immovable and slightly reducing seat width. The personal TVs are misaligned as they are on the seat backs of the row in front. 61 H None No Power Seat 61 H is an Economy Class seat that may have extra legroom. However this seat juts into the aisle and may often be bumped by service carts or others passing by. The tray table is in the armrest, making the armrests immovable and slightly reducing seat width. 61 K None No Power Seat 61 K is an Economy Class seat that may have extra legroom. The tray table is in the armrest, making the armrest immovable and slightly reducing seat width. All A,D,K seats from Row 61 back, may have restricted legroom and storage due to the presence of an under seat entertainment equipment box. 62 A None No Power Seat 62 A is an Economy Class seat. All Economy Class seats A,D,K from Row 61 back may have restricted legroom and storage due to the presence of an under seat entertainment equipment box. 62 C None No Power Seat 62 C is an Economy Class seat. All Economy Class seats A,D,K from Row 61 back may have restricted legroom and storage due to the presence of an under seat entertainment equipment box. 62 D None No Power Seat 62 D is an Economy Class seat. All Economy Class seats A,D,K from Row 61 back may have restricted legroom and storage due to the presence of an under seat entertainment equipment box. 62 F None No Power Seat 62 F is an Economy Class seat. All Economy Class seats A,D,K from Row 61 back may have restricted legroom and storage due to the presence of an under seat entertainment equipment box. 62 G None No Power Seat 62 G is an Economy Class seat. All Economy Class seats A,D,K from Row 61 back may have restricted legroom and storage due to the presence of an under seat entertainment equipment box. 62 H None No Power Seat 62 H is an Economy Class seat. All Economy Class seats A,D,K from Row 61 back may have restricted legroom and storage due to the presence of an under seat entertainment equipment box. 62 K None No Power Seat 62 K is an Economy Class seat. All Economy Class seats A,D,K from Row 61 back may have restricted legroom and storage due to the presence of an under seat entertainment equipment box. 63 A None No Power Seat 63 A is an Economy Class seat. All Economy Class seats A,D,K from Row 61 back may have restricted legroom and storage due to the presence of an under seat entertainment equipment box. 63 C None No Power Seat 63 C is an Economy Class seat. All Economy Class seats A,D,K from Row 61 back may have restricted legroom and storage due to the presence of an under seat entertainment equipment box. 63 D None No Power Seat 63 D is an Economy Class seat. All Economy Class seats A,D,K from Row 61 back may have restricted legroom and storage due to the presence of an under seat entertainment equipment box. 63 F None No Power Seat 63 F is an Economy Class seat. All Economy Class seats A,D,K from Row 61 back may have restricted legroom and storage due to the presence of an under seat entertainment equipment box. 63 G None No Power Seat 63 G is an Economy Class seat. All Economy Class seats A,D,K from Row 61 back may have restricted legroom and storage due to the presence of an under seat entertainment equipment box. 63 H None No Power Seat 63 H is an Economy Class seat. All Economy Class seats A,D,K from Row 61 back may have restricted legroom and storage due to the presence of an under seat entertainment equipment box. 63 K None No Power Seat 63 K is an Economy Class seat. All Economy Class seats A,D,K from Row 61 back may have restricted legroom and storage due to the presence of an under seat entertainment equipment box. 64 A None No Power Seat 64 A is an Economy Class seat in the last row of the plane that may have limited recline and the close proximity to the lavatories may be bothersome. All Economy Class seats A,D,K from row 61 back may have restricted legroom and storage due to the presence of an under seat entertainment equipment box. 64 C None No Power Seat 64 C is an Economy Class seat in the last row of the plane that may have limited recline and the close proximity to the lavatories may be bothersome. All Economy Class seats A,D,K from row 61 back may have restricted legroom and storage due to the presence of an under seat entertainment equipment box. 64 D None No Power Seat 64 D is an Economy Class seat whose close proximity to the lavatories behind may be bothersome. All Economy Class seats A,D,K from row 61 back may have restricted legroom and storage due to the presence of an under seat entertainment equipment box. 64 G None No Power Seat 64 G is an Economy Class seat whose close proximity to the lavatories behind may be bothersome. 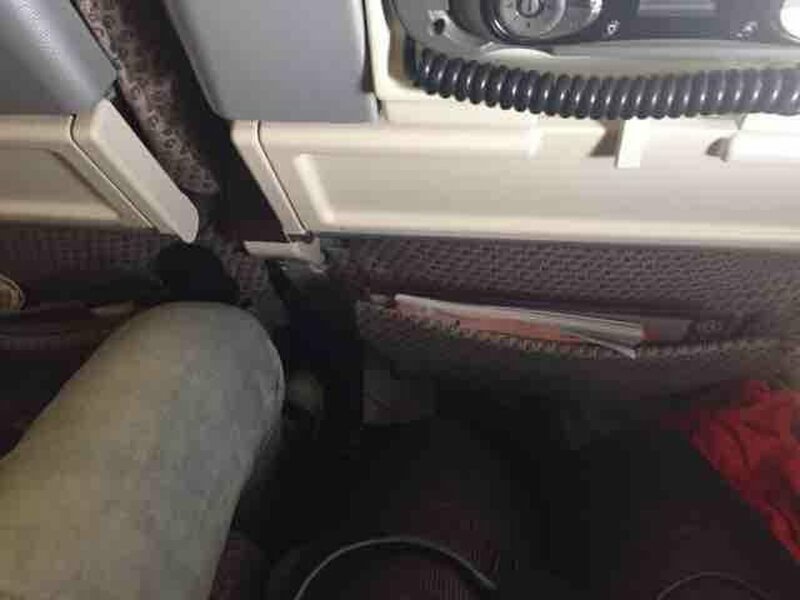 All Economy Class seats A,D,K from row 61 back may have restricted legroom and storage due to the presence of an under seat entertainment equipment box. 64 H None No Power Seat 64 H is an Economy Class seat in the last row of the plane that may have limited recline and the close proximity to the lavatories may be bothersome. All Economy Class seats A,D,K from row 61 back may have restricted legroom and storage due to the presence of an under seat entertainment equipment box. 64 K None No Power Seat 64 K is an Economy Class seat in the last row of the plane that may have limited recline and the close proximity to the lavatories may be bothersome. All Economy Class seats A,D,K from row 61 back may have restricted legroom and storage due to the presence of an under seat entertainment equipment box. 65 D None No Power Seat 65 D is an Economy Class seat in the last row of the plane that may have limited recline and the close proximity to the lavatories may be bothersome. All Economy Class seats A,D,K from row 61 back may have restricted legroom and storage due to the presence of an under seat entertainment equipment box. 65 F None No Power Seat 65 F is an Economy Class seat in the last row of the plane that may have limited recline and the close proximity to the lavatories may be bothersome. All Economy Class seats A,D,K from row 61 back may have restricted legroom and storage due to the presence of an under seat entertainment equipment box. 65 G None No Power Seat 65 G is an Economy Class seat in the last row of the plane that may have limited recline and the close proximity to the lavatories may be bothersome. All Economy Class seats A,D,K from row 61 back may have restricted legroom and storage due to the presence of an under seat entertainment equipment box. 7 D None No Power Seat 7 D is an Upper Class seat. This seat does not have any overhead air vents and some passengers have reported that it can get hot and stuffy at this seat. 8 G None No Power Seat 8 G is an Upper Class seat that has extra legroom due to the bulkhead wall between this seat and the seat in front. Passengers cannot control the air vents at this seat. 9 G None No Power Seat 9 G is an Upper Class seat. This seat does not have any overhead air vents and some passengers have reported that it can get hot and stuffy at this seat. This aircraft features the V:Port system which provides 14 channels and 45 CDs of Audio on Demand. Audio Visual on Demand is available with a variety of movie and television programmes; children's channels and video games. The system aboard this aircraft is Virgin's V:Port system. Empower ports are available at all Upper Class and Premium Economy seats. You will need an adaptor to use these ports. There is no power in Economy. The Virgin Atlantic Airbus A340-600 aircraft is configured in three classes, including Upper Class, Premium Economy and Economy. Virgin charges extra for bulkhead, exit row, and other seats which have more legroom. These seats are referred to as Extra Legroom Seats. Premium economy comfortable but seat back was faulty, which meant I sailed backwards on take off and was unable to fix in an upright position. Staff were brilliant throughout and offered an alternative seat. Food good. Seat back screen truly awful. Nice aircraft but now old and creaking. It's surprising VA has done nothing to improve its business class product on this plane. Power is available through a lighter-type adapter that was common 10 years ago. Pen marks on the panels. The overhead lights are disabled making it impossible to work on night flights. A narrower feeling seat than competing products on Delta or BA. Having a 787 trip with VA connecting to this plane was a study in contrasts. The 787 product is fine -- this is sub-par. Firstly, the layout of the economy seats on this outdated A340 needs some rework. Who in their right mind thought this layout would work for an 11-hour flight from Heathrow to San Francisco? The under-seat storage area for 41a has a wiring box that occupies 1/3 of the space. Very hard to find a comfortable leg position. Similarly 41c has a slimmer wiring box for its under-seat storage area that occupies only 1/4 of the space. 41c is also directly across the aisle from the door to the downstairs crew rest area, but that didn't seem to bother us as much as the cramped leg space. Couldn't Virgin have sacrificed just one row and spread out the remaining rows to give some leg room? Come on, its economy, so how much revenue will that eliminate in the grand scheme of things? The seat itself is actually pretty good , It was really comfy and wide, The legroom was more than enough for me (I'm 5"7) however the IFE really let the whole flight down, It was extremely old and blurry (TN Panels). I highly recommend you bring your own entertainment (i.e a iPad), On the plus side there are USB ports to charge the iPads etc! Usb power is nice, very tight under seat storage, In flight entertainment is very old: phone/corded remote controls. I am amused by he modem port behind the handset. Incredibly cramped. Don't recommend for anyone > 6'. This plane is also old. Unless you're desperate on cost, I wouldn't recommend it. Outdated entertainment system and the entertainment power box is below the window seat making the already uncomfortable flight even worse. Paid an extra £100 for these seats as my other half is 6'4 /slim build and thought the extra legroom would be worth it. The seat for him was great (51c) as there were no obstructions for about 1.5m infront. My seat however wasnt so great. The legroom for me was ok (im 5'4 / medium build , but for anyone taller wouldnt be great due to what i think is the exit slide housed just infront. The main issue for me however was the compromised seat width due to the entertainment screen controller being housed within the seat reducing the seat widthe considerably. The arm rests dont move either so the 7 hour flight was pretty excruciating! The seat as well as all of the others in economy had power in the form of a USB plug next to the IFE screen. This seat also has a widow although it is slightly misaligned. The IFE box underneath the seat in front may prove to be an issue for some. Its an old plane, but not terrible, just a little long in the tooth. I've been on a lot worse Seat was good. The toilet ahead isn't visible, and is blocked by a curtain for PE anyway. I used Virgin Atlantic roundtrip this time, read the reviews. And they are correct. The equipment is old, and they need new planes for this route (LHR-ATL). Parts in the bathroom were falling apart, and worse, you could see and hear the overhead section above the middle set of seats move/shift and squeak as we took off. The entertainment system is antiquated. This seat, 33G, had some type of metal equipment box under the left side of the seat in front, reducing my footspace. But I paid for extra legroom (£37!!) which is worth it. Did not on the flight out (VS105) and regretted it. Virgin, bring on the Dreamliners please! The seat isn't quite aligned with the one infront, which coupled with the IFE box under the seat in front leads to little space for your feet. Also, the tray tables are on the seat infront not the armrests as mentioned on Seat Guru. Certainly no more leg room than the seat I had on the flight out (43A). I wouldn't recommend it over a window seat in the standard part of the cabin. Originally supposed to fly on the 787 Dreamliner from SFO to LHR, but Virgin changed without notice to the A340-600. Completely different experience. In Flight Entertainment system was grainy and difficult to watch movies without feeling like you needed glasses, whilst flight was 1/2 full in upper, many issues with other passengers seats not working properly meant it was a bit like musical chairs. Staff very nice and food good, plane just seemed a bit tired. Slept 5 out of 9.5 hr flight and overall wasn't a bad experience. 4A is a good seat, away from bar and Toilet on other side of Cabin. However, the plane could do with a bit of TLC. Dreamliner is the way forward!! Seat 7A in Upper Class is across from a small closet, which blocks your view of the cabin, for better or worse. This cabinet can be used to store your bags for easy access. The seat is in the middle of the cabin so ideal proximity to exit doors, lavs, and bar. The seats are narrow and require an awkward transition by the FA from a seat to a totally flat bed, which is hard and not particularly comfortable. The media screen is not touch-screen and requires using a remote which doesnt work particularly well. All in all, I cant't say I was blown away by Upper Class (Emirates is much better) but I did enjoy the crew, the food, and the overall ambiance. Flew Prem. Econ seat 21C from LHR-JFK. While seat felt large and was comfortable with decent recline and legroom for the 8 hour flight, plane is tired and TV is old (non-touch screen and hard to see at times). Service was great but try and fly the 787-9 if flying Virgin. Much better Prem. Econ product. I flew in Upper Class hoping to sleep through the flight. I declined meal service, wore my amenity-kit PJs and eye shade, and took sleep aids, but I didn't sleep a wink. The seat is narrow and hard, like a piece of gym equipment, and there was mild engine noise and light clatter of service, though this seat is far from the bar area. Next time, I'm going to book Premium Economy and fly from JFK in the morning, landing at night in time to go to a hotel and re-set internal clock. The Virgin crew in Upper Class is amazing. Wish I'd known I wasn't going to get any sleep; could have enjoyed IFE and meals. Another reason I'll choose Premium Economy next time is that it is hard to access your items if you've asked the attendants to flatten the bed, because the only storage space is under the footstool. There were some repair issues in the cabin (seat behind me had a sign with frowny face saying "not in use"), and I was glad that Seat Guru let me know to pick a window seat for cool A/C; the center is indeed stuffy without vents. As for lie-flat procedure: have to wait until cruising altitude is reached, then alert the attendant, who will quickly convert the bed and provide a duvet and pillow. Prior to landing, attendant will come around and wake you up to re-convert the bed into a regular upright seat. All a bit of a hassle, hence preferring to go to Premium Economy next time, despite two wonderful perks upon landing: Upperclass passengers receive a voucher for an express trip through Customs, so I was spared an hour-long wait, and the free breakfast provided in the Virgin arrivals lounge was nothing short of amazing. Much superior to other airline lounges. There was a fresh juice bar (carrot juice!) and a wait staff who let me order from an extensive menu (including salmon eggs Benedict and unlimited cappucinos). Did not use the Virgin arrivals shower/grooming lounge but it was offered. This seat is adjacent to the front lavatory, and unfortunately positioned so that people exiting the lav peer directly down upon ones head! Suggest avoiding at any cost. Flight VS25 (LHR-JFK). The equipment was a really old A340. The Premium Economy seats were old and worn. The Inflight entertainment was of very poor quality (small, low res screen, hissing). Importantly there is no AC or USB power only the (very)old DC power outlets that require a special adapter. This seat has a box on the floor and considering how narrow it is to begin with, it didn't allow more than the airline blanket to be stowed. There was no room to stretch your legs. This is a very undesirable seat. 3A is not a great seat if you're flying alone and desire privacy - you're essentially looking right at the person in 3D. In fact, nothing about the business class cabin on this plane feels private, because regardless of where you sit, you're sort of perched high enough to be looking at the people around you. The seat is also bizarrely small (I'm 5'9" cm) when in bed position. When you pay for a business seat you expect to be able to do some business. Power in the seat requires an adapter that the attendants are happy to supply however they are only capable of charging a phone. My laptop died half way through the flight. Incredibly frustrating. Basically paid top dollar to waste a day. I usually fly Premier Economy. The aircraft is shabby, showing its age. Food is good. And why isn't every aircraft wi-fi enabled. Come on it is 2016. These middle seats in Business class should be Yellow. The lack of an Air Vent is an extremely uncomfortable issue, especially for red eye flights. Premium economy is not worth the extra money if you are looking for seat comfort. I am only 5'4" and my knees were nearly touching seat in front of me and once the person in front of me reclined they were touching. The seat does not fully recline. For an international flight, the seat comfort for premium is severely lacking. I'm more comfortable on domestic coach seats. I don't think I would fly them again unless my company paid for business class. Did not like this plane at all. Seat is not comfortable, there is no storage, you can't look out the window without being a contortionist. When converted to a bed, you can't raise the head area to watch the video. My video screen froze about 5 hours into the flight and never rebooted. Service and food, on the other hand, were good. This plane would not be my first choice to transatlantic travel. 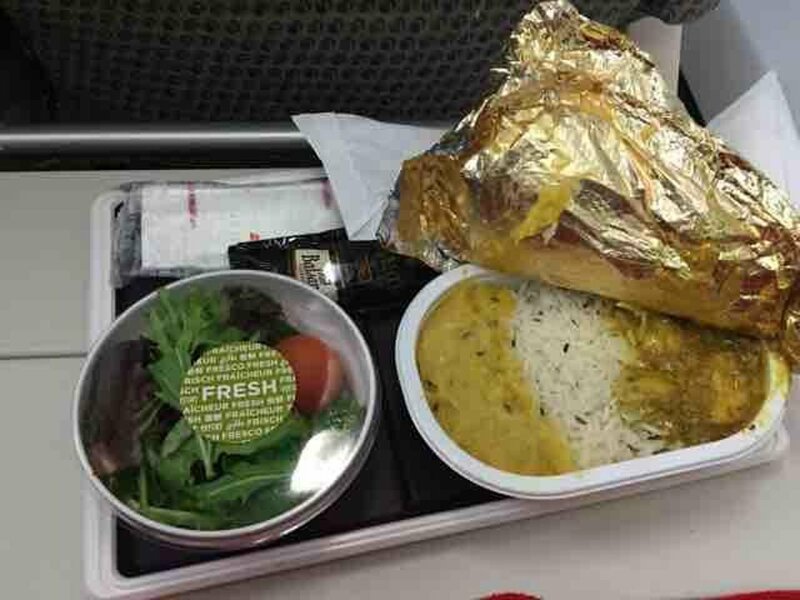 I was travelling to New York in this seat and i found out the seat, well overall cabin is rather dated compared to virgins competitors; i enjoyed the flight and the meal service was sublime. The only thing for concern is how virgin does not offer wifi. I know this is petty but honestly wifi would improve the overall experience (personal opinion) and would widen whoever opts to fly with virgin! The electronics and leg room in premium economy on this flight are very poor compared to other Virgin Atlantic aircraft. The service, though, is absolutely top-notch. Seat width is fine. In addition to a fantastic seat (I was lucky to have no other passenger in my row), the VA A340 is fantastic, quick, and quiet. The crew was amazing, very helpful, and everything about Virgin Atlantic was perfect, in spite of some of the less than stellar comments I had read. Will definitely be flying with VA again. Regardless of seat assignment, this aircraft is horrible. I traveled the 'red-eye' from JFK to LHR recently and as far as the economy section is concerned, it was extremely cramped, with no leg room whatsoever. Reading other reviews, it seems that Premium Economy and Business/Upper Classes also fall short in terms of expectations. Shame on you Virgin for configuring the aircraft in such a cramped way! Maybe Mr Branson would like to try out the economy flyers experience! I flew to JFK on a dreamliner and even in economy, it was reasonably comfortable. Avoid Virgin's A340's at all costs - especially if you are taking a nighttime flight...you have been warned! Avoid at all costs! It is now 4 days since I flew and am still trying to get over that jet-lag through inability to sleep during the flight. I'd also like to mention the air crew...very average (if not below average) compared to the crew on the dreamliner on the way out. Maybe crew have to work their way up through the various aircraft, with only the best folks getting to crew on the better aircraft? Seriously folks, economy in a Virgin 340 is a total nightmare - you will NOT have any comfort whatsoever with the cramped conditions....you have been warned! This premium economy seat is very poor. The seat is directly across from the toilet and when you recline, you are looking straight into the toilet. The toilet door doesn't close automatically when someone leaves, so you have to either put up with the smells or close the door for the person who just used the toilet. Problem is compounded by there being no curtain between premium economy and economy so there is a constant stream of visitors during flight. UpperClass seats a huge disappointment: (1) hard to communiate with travel companion; (2) video screen badly placled; (3) seats too small for lie-flat business class; (4) seat doesn't recline to comfortable position because (5) making it go flat requires you get up and call an FA and spend five minutes plus fussing around with it; and when you want not to be flat any longer, same thing; (6) and the flat surface for the "flat bed" is hard as a rock, despite the thin comforter they give you. Once on VA quite enough: never again. (7) Oh, and the FAs encourage loud drinkers to congregate at the bar to help everybody back of about row 10 stay awake the whole flight. LHR-JJF Standard eco. seat, this one had the entertainment box under the seat, took up about 1/4 of the space I was still able to get both my feet under. entainment system is a bit slow and work, had to push the buttons on the remote numerous times to get it to respond. service was good, drinks, lunch, a pass with water and juice, ice cream, then afternoon tea before landing. 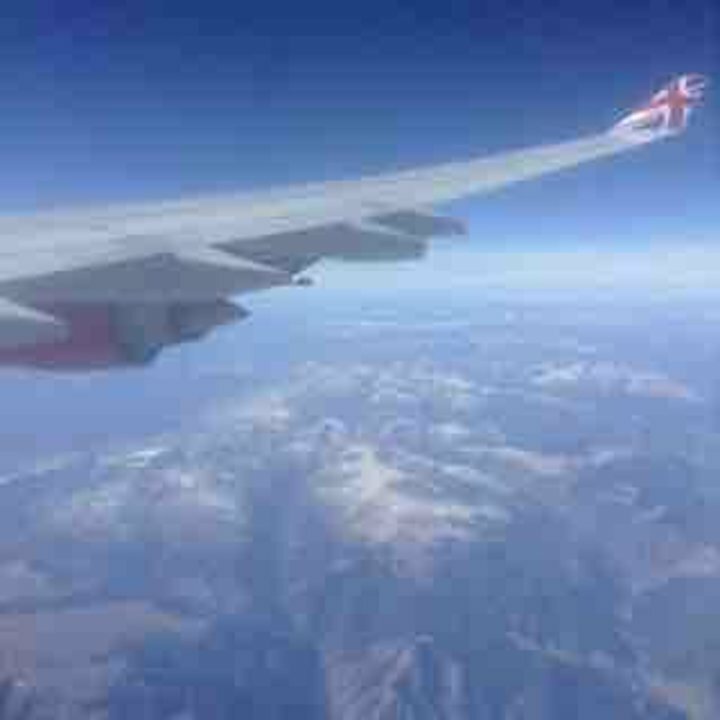 The overnight return flight from LHR -LOS was a nightmare conpared to the departing flight! The seats were tightly packed with very little recline. Sat between two full figured ladies who took over both armrests. The nigerian meal option was the worst meal for a main course. Air conditioning was not cool enough as the lady in 59G passed out halfway into the flight (dont know why exactly). (see my comment on seat 55A). I was moved here by the lovely attendant after my seat was impeded by the broken seat in front of me. These seats have plenty of legroom but they don't recline. Why on earth this isn't mentioned here is a mystery. Sitting bolt upright for an 8hr flight is not nice and can't be good for your back either. Totally would not recommend - especially as Virgin usually charge extra for this seat! This must be easily the most uncomfortable long haul flight I have ever taken. I have flown British Airways, American Airlines, United, Delta, Air France, Air India, Jet Airways, and a host of other airlines, but this LHR-JFK flight was the most uncomfortable one by a HUGE margin. The "extra legroom" seats were noticeably unoccupied on the flight, but to occupy them, I was told that I would have to shell out GBP 45 for the same. Doesn't work for me! Hopefully the return JFK-LHR flight will be more comfortable on the Boeing 787-900. Row 35 DEFG should be marked by SeatGuru as BAD seats. The two rows ahead are 'extra legroom', and row 35 is given REDUCED legroom. Once the person in front reclines, the in-seat screen is unusable, because it will not tilt far to be viewable. The seat is likely fine if you are under five feet six inches [165cm] tall. AVOID IS YOU ARE TALLER!!! For me, this is the worst seat on the plane. Legroom is extremely restricted due to bulkhead, and you are squashed in between other people. They bring a footrest out, but it doesn't really help. A really awful seat, I'd rather be in economy with some legroom than in this awful position. I got off the plane in agony after not being able to stretch out for many hours. Virgin (who gave my original seat choice away) claimed this was a great seat because I would have extra room. What a joke, this was the worst. Having flown other carriers for this same route, I would not suggest booking on Virgin. The seat's foam was incredibly thin, and overall was showing it's age. Seat width was also very narrow in economy. Pay the extra money and go with BA or even American Airlines on their 777-300. The 31" seat pitch/legroom is very restricted on the A340 compared to Virgin 747 and A330's. We paid for Seat Plus, which made the flight ok. The seat infront has a entertainment box under it, within your leg room. Seat plus however made this bearable. I would avoid flying on the A340 in economy and choose to fly on the A330 if flying Virgin. The air vent cannot be controlled, it does get very hot and uncomfortable to sleep in, especially with the covers. The extra legroom not worth it! This seat is NARROW. I've not a wide bottom, but I felt like I was seated in a vice. 11 hours in this seat was quite possibly one of the most unpleasant experiences that I have ever had. Cramped seat pitch, restricted leg room and a seat that did not recline. A completely full flight prevented the opportunity to change seats to something more suitable. Quite frankly such provision is unacceptable. I genuinely wish that I had accepted the offer from ground staff to remain in Jo'burg overnight and fly back the following evening. Avoid at all costs. I found the Upper Class seat to be less comfortable than a comparable Business Class seat on other airlines. Virgin's seats require an FA to convert the seat to a bed which flips the backside of the seat forward to essentially create a "table" on which they set up your bed. This configuration also perches you up higher off the floor than in more conventional biz class seats. I would avoid Virgin in the future until these seats are replaced. I was very disappointed with the legroom and size of the seat. I have never taken a long haul flight where the seats were so small and uncomfortable. I flew to Portugal on Easyjet in the summer and the seats were far more spacious and comfortable. I had to sit with my legs apart as they were too long. I am tall but even my friend who is slightly shorter and positively petite and sat next to me was shocked at the lack of space. I would avoid Virgin at all costs in the future. The economy seats on this flight felt extremely cramped. The plain was definitely older, and entertainment system was a nightmare to use. The menu was very vague, and the dish I ordered came with 1 thing not mentioned at all in the menu. Wen arranging your meal, and you are at the front, they rush and practically throw your food at you. Apparently their red heels and handbags=sassy attitudes. Some just seemed as if they wanted to get their dinner service over, just to hang out with their friends on the galley, and I might add here, that they are extremely loud. The row in front of me, with 4 seats, and power ports, was available to upgrade to for an extra cost, but some man moved there with a screaming child, and paid nothing, he reclined the seat as far as it would go, and willed it to push more. he got up in the middle of the night and shut ever single god-damn window on the plane, reaching across sleeping people. other than that, a somewhat pleasant flight. Very cramped with horrible leg room for a 10 hour flight. This is nothing like virgin america. It is so uncomfortable and dirty. The tv's are old as well. Never again! Terrible seat- ver restricted legroom because of bulkhead, bumped by flight attendants and their carts Restricted seat width because of tray in hand rest Not worth being in Premium Economy for. Travelling with a large (100+) group, we had almost the entire rear section of economy to ourselves and I was unfortunate enough to be seated in 60F. The block 60DEFG has less legroom than standard, and is visibly narrower than the block 59DEFG directly in front (about 2 inches on each side to keep the aisle sufficiently wide - so each seat loses about an inch). This is enough to make it extremely hot and uncomfortable. When approached, the cabin staff initially denied that the seats were smaller. However, when I later complained that my seat would not stay reclined, one staff member admitted that the legroom was reduced and moved me to another F seat (which was unbooked because of a broken recline, but at least it had standard legroom). Avoid! The seat equipment box impinged quite badly into the room under the seat, making it very difficult to sit straight and put my legs out at the same time; I had to turn to the side to sleep properly, leading to quite a poor night's rest. There's good room to the side of the seat for storage, but in my opinion it's too compromised to select. Experienced business class on three Airlines (DL, AF, and VS) during a recent trip to South Africa. 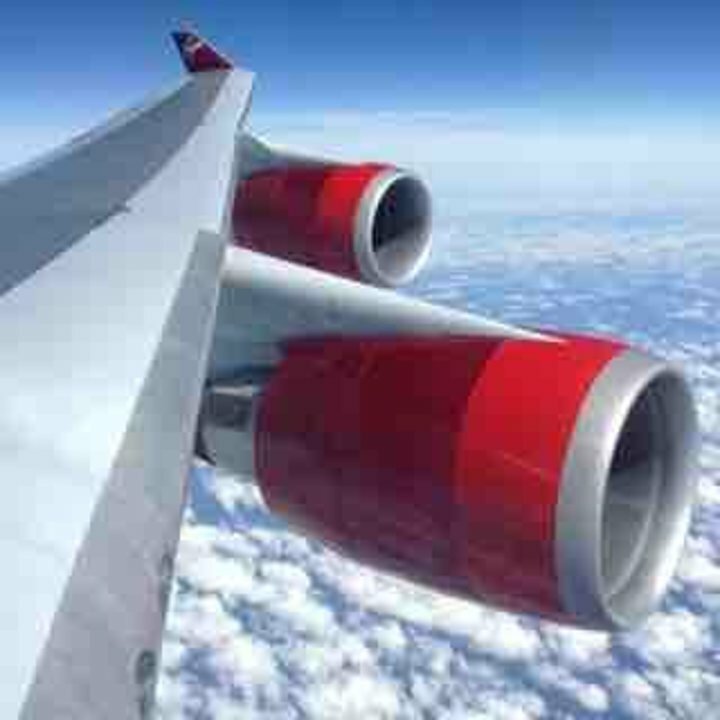 The cabin service on Virgin Atlantic was the best of the three, the seat comfort was the worst of the three. Narrow and uncomfortable even after being flipped which is a silly process. LHR-LAX (ladybird). I have flown (literally) around the world in various economy class seats and I certainly found this one to be the worst I have ever sat in. Leg room was the worst I have seen and seat was generally un-comfy and in poor repair. The entertainment system is now very out of date and the food is poor. BA or Qantas much better. There is also an added "safety" feature to the seat belt which makes the seat narrow. Definitely not worth the added cost to have room in front of you to be restricted around the waist. Had plenty of leg room behind bulkhead. The person in the window seat could get up and out while I stayed seated. More legroom room here than for seats D, F & G. First in line for food and drinks. However on 12 hour overnight flight, even though I slept fairly well, there seemed to be noise all night long from the galley (clinking of glasses and metal cabinets, etc.) Earplugs would help. TV screens fold up from between the seats. Space has been taken from this row in particular, to allow for the 2 rows of Extra Legroom seats in front. I will measure the seat spacing on my return flight and comment.Virgin website claims seats are 32" spacing. Customer relations say they are 30-32". I don't believe them.Industry minimum standard is claimed to be 26". Got very hot and noisy from the staff sorting out stuff in the food preparation area. Selbst Kurzstreckenflüge haben mehr Beinfreiheit. Die Sitze sind so nah an den vorderen Sitzen das ich mit einer Größe von 175 cm mit den Knien an den vorderen Sitz angestoßen bin. Der Sitz 63D hatte zusätzlich unter dem Sitz einen Kasten angebracht. In mid-November, 2014 I flew Virgin Atlantic for the first time, LAX LHR. The outbound trip was dreadful. The LAX terminal(#2) is ghetto - no decent food; poor restrooms. On boarding, the fully loaded plane was not air-conditioned and was steaming hot until the engines were finally switched on. The toilets were untidy. The cabins smelled bad. The food was dreadful. Very disappointing. The return trip 9 days later on VA08 was better: the toilets were much cleaner, but the food was still dreadful. I chose this seat months in advance, thinking that with luck, I might end up with both seats, given that 32A is marked as not a good choice on SeatGuru. At check-in I found that I was unceremoniously moved to 32D, and upon boarding I found that it was another person who ended up with both seats 32A&C! 32D was not bad, but the row ahead (31D-G) are seats equipped with baby bassinets, and so I (and everyone in the front few rows) had to put up with screaming babies. All economy seats in bad state of repair, the magazine pockets all hanging loose so they drop onto your legs, most uncomfortable for a 11 hour flight. This was an extra legroom seat and still extremely uncomfortable, aisles seem very narrow .Food was dreadful , breakfast nothing hot just weird yoghurt,small bag muesli and undercooked frozen muffin , not at all good for long haul flight rates as my worst flight ever . Have flown a380 with Emirates that was great no need for upgrade . This is a terrible seat as it has a box in the way of your feet, which makes the very small space feel even smaller. 15A is a great seat as it is far enough from the bar and toilet to avoid noise but close enough to the exit door (as both LHR and JFK only use the arft door in upper class when you exit) for a quick get away. The other positive it that the seat is not facing another passenger, this not the case for seats 15G and 15K. I was in seat 14A for VS003 from LHR to JFK. It was a comfy seat, although personally i prefer the way the seats work on BA or AA when it just reclines to being flat. Getting out, moving everything and flipping the seat over is a hassle. Especially if you aren't sure if you're going to be able to fall asleep. The aircraft was incredibly quiet. The staff are fantastic, so much more friendly than on other airlines. The staff are what makes Virgin a good choice. Seat is very narrow and slightly away from the window. So hard to lean against it for sleep. The seatbelt contains an airbag which is stiff and hard, so it doesn't bend easily. This cuts into the hips for larger passengers as the seat is narrow. I had enough legroom so that I didn't HAVE to make my husband get up from his seat for me to pass. However, once the seat in front of me was reclined, I did have him move for me to slide over. I also had a hard time viewing the movie/tv screen in the back of the seat when it was reclined. I would choose these seats again. I was really impressed with the space I had in this seat. I wasn't at all bothered by the flight attendants coming in and out of their downstairs area and found that the seat was really spacious because of the space between the seat and the window. I liked being near the very large bathroom as well as towards the snack area and water fountain. I found this seat to be comfy! If it were about an inch and a half wider it would be perfect. I definitely did not like that the crew were noisy during the flight as i was seated near the galley, however the noise cancelling head phones helped a great deal. also the lenght of the seat it self is decent i am about 6" and all i had to do was sleep with my head closer to the window to enjoy the full lenth of the bed. You pay the leg room upgrade price which is lovely, but these seats are narrower than the others along the row as the entertainment controls are in the arms and the centre arm does not raise up like the others. If you have large hips or on the larger size of man then i really wouldn't recommend these seats as it makes for an uncomfortable flight. Horrible little seat. I was squashed next to a very large passenger; not his fault, but the tiny size of the seat made for a very uncomfortable flight from Hong Kong to London Heathrow. His knee and elbow were both on my side of a line dividing the two seats. I would avoid this plane if you can; the airline has squeezed too many passengers in for such a long haul flight. I disagree that this is a good seat. There is no extra legroom (but doesn't need any, being in upper class there is plenty). There is a shelf where the bulkhead is, but that adds no real value to the seat. I would say that all the seats in the middle isle are really inferior to the window seats. Especially when trying to sleep, the flex in the floor is noticable with people walking by both sides - especially at the end where your head is. Despite being between two toilets it didnt matter at all. It gave us a very comfortable flight home after a long delay for a previous connecting flight. i would recommend it! 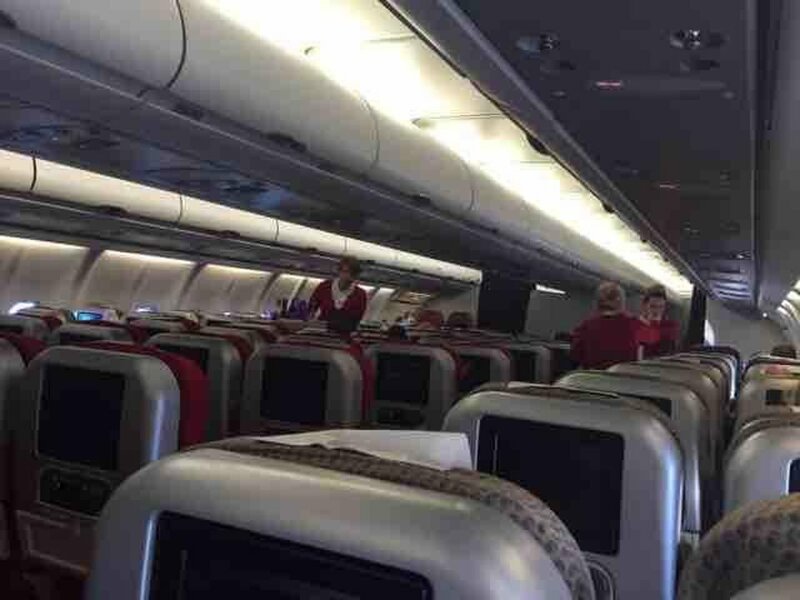 Virgin Atlantic flies 1 versions of Airbus A340-600.